How to create a Weekly Exercise Log? 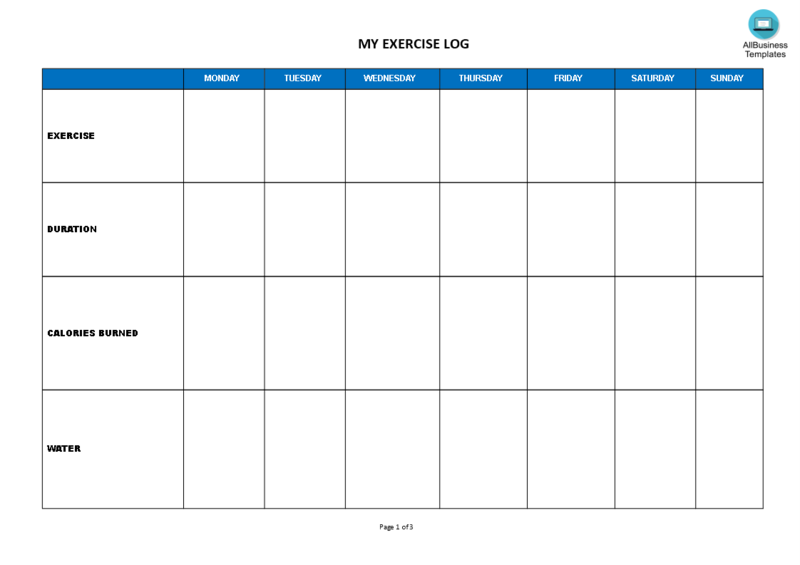 Download this example Weekly Exercise Log template that will perfectly suit your needs. Our collection of online health templates aims to make life easier for you. Our site is updated every day with new health and healthcare templates. By providing you this health Weekly Exercise Log template, we hope you can save precious time, cost and efforts and it will help you to reach the next level of success in your life, studies or work! This Weekly Exercise Log is intuitive, ready-to-use and structured in a smart way. Try it now and let this Weekly Exercise Log sample inspire you. We certainly encourage you to download this Weekly Exercise Log now and use it to your advantage!